27 November 2017, Zug, Switzerland, trade.io has announced the launch of its partnership with HitBTC Exchange, one of the largest cryptocurrency exchanges, exceeding upwards of half a billion in daily volume, and operating since 2014. 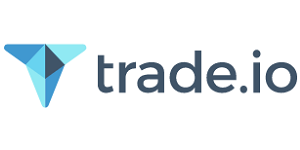 Having just finished a PRE-ICO period which resulted in well over $10M in funding, trade.io is proud to provide its loyal contributors with this added value partnership, demonstrating the company’s continued intent to cooperate with the highest calibre participants in the blockchain field. According to icoscanner.io, trade.io is currently the 5th most successful ICO in terms of Ethereum contributions. With PRE-ICO now over, the ICO is due to begin on December 5th. Next Next post: Neuromation’s token presale far exceeds all expectations, earns 1,5 mln USD.